This past weekend, I needed to buy some DIY type tools for a project we’re working on at home. Some of the things are available in Harare’s downtown area and the other stuff at the Magaba Siyaso home industries market in Mbare. My assumption, leaving home, was that I could pay for the things using either a bank card or my EcoCash mobile money. I was wrong. I couldn’t buy anything in downtown Harare. I went to the EcoCash agents. They had the cash. 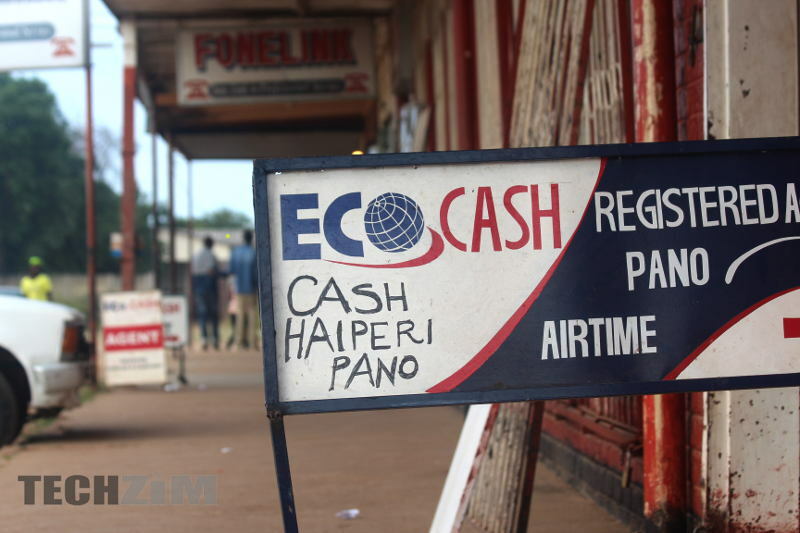 They also had a condition for a cash-out; 15% of the cash-out amount, over and above whatever EcoCash charges officially for the transaction. The trader was charging the 15% fee for the product because that’s what the EcoCash agents would charge him for cash. Without the fee, he’d be selling at a loss. He was ready to let my business go. The trader, later told me, he needed the cash because their suppliers also demand cash. So, effectively, to withdraw money from your EcoCash, at least in Harare’s downtown, Highfields and Mbare, you should prepare to pay 15% as unofficial transaction fees. I only know of my experiences from those 3 places where the people I dealt with said it matter-of-factly. It could be different in other areas, but my guess is it isn’t. Mbare and Highfields are home to a lot of informal business in Harare and whatever is going on there has likely trickled to other places as well. Losing 15% is bad enough. What’s worse however is how this 15% is being communicated. It’s as if the fee is part of the official EcoCash transaction fees. A few weeks earlier, in what I thought then was an isolated thing, a guy selling me some hardware in Highfields had said; “Boss, it costs 15% to withdraw money from EcoCash, this money you want to transfer is not enough!”. “No it doesn’t!” I retorted. “Ofcourse it does. What are you talking about? Go to any EcoCash agent!”. He looked surprised. “No. No need to visit an agent. I’ll show you here,” I said pulling out my phone and opening the EcoCash website so I could put the matter to rest quickly. “There, see…” I pointed. The Reserve Bank of Zimbabwe may insist publicly that money must work or is working a certain way; EcoCash itself may insist that any ‘unscrupulous’ agent charging for cash-outs be reported; but on the ground, the market is working the way it wants. Whether they like it or not, whether us consumers are happy with it or not, the market says there’s a cost to getting cash, and it is 15%. Unfortunately for Zimbabweans, there are still a lot of places in the country where traders and retailers won’t take cards or mobile money. Unless ofcourse you pay the unofficial cost of cash. So unlimited internet is actually not unlimited…But there is more to it. Thank you L.S.M for highlighting this issue. I’ve personally encountered this with a reputable Health-care service provider. For payments made using EcoCash/ZimSwitch, one had to include 9% on top of the cost. The only channel that does not incur an extra charge is RTGS payment. I ended up going the RTGS route but consider people without the option of doing so? A lot needs to be done to stamp this culture out across the entire value chain. I just do not get why, why people think that having money means having physical hard cash. Its frustrating, Zimbabweans claim to be educated, but I doubt their reasoning capacity and question the value placed/impacted by our education system. Don’t tell me you can’t see what is in plain sight for all to see. Zimbabwe does not have a credible central bank. The central bank is injecting new money from nowhere into the banking system thereby devaluing everyone’s money. That is why nobody wants to keep money in the bank or in any electronic form. Its not the Central Bank but the banks and its called Fractional Reserve System. If it’s 10% for example if one deposits $1000.00 in the bank a bank is allowed to lend $9000.00 without the hard currency. They then give one a debit card to access the money. The Central Bank however is a beneficial of “the fraud.” It goes beyond the borders and can be traced at the Federal Reserve in the US. Central bank is injecting electronic money into the system from nowhere so its only a matter of time before the big bang. It’s unfortunate some things are beyond econet and rbz and as individuals if something is not working out for you, you can look for other alternatives. After all with the current economic situation, the only way is the cashless way. I suggest we move away from hard currency and adopt other means of payment. I am surprised you were not aware of this my brother. This started long back, i think late last year though the percentage were lower. For now i currently pay between 10 -15% for bond notes and between 15% – 20% on US$. I just don’t have any option as i only deal with imported products. I personally i have been factoring this cost on my pricing as most of my sales are either bank transfers or Ecocash. Of course cash is king especially for us informal traders buying & selling products imported from South Africa. A country of educated fools! Brilliant reporting, confirming in vivid detail what those of us transacting in EcoCash are now experiencing. In the terminology of cryptocurrency, EcoCash Coin is looking more like Mavro and less like Ethereum. The situation on the ground is far much worse. I have personally encountered that and worse. If you want cash from these agents they charge you 10%. This is not happening in mbare alone but right up to Roadport. $100 USD = 107 Bond. I was surprised to see the price of a certain tile wanted had gone up by $7 from $14 to $21. When I asked the salesperson he told me it was $14 USD cash and $21 if I was using my card or ecocash. That is the situation on the ground. Definition: A market is defined as the sum total of all the buyers and sellers in the area or region under consideration. The area may be the earth, or countries, regions, states, or cities. The value, cost and price of items traded are as per forces of supply and demand in a market. The market may be a physical entity, or may be virtual. It may be local or global, perfect and imperfect. Of course its not Econet’s fault neither is it the agent’s fault! Zimbabwe is a net exporter and you cant use electronic money outside the country and that is why cash in on demand, this is also compounded by the sprouting informal market. Command Economy wont work!